More and more space on the planet is being taken by buildings... How can we fit more people in, as the earth's population gets larger? 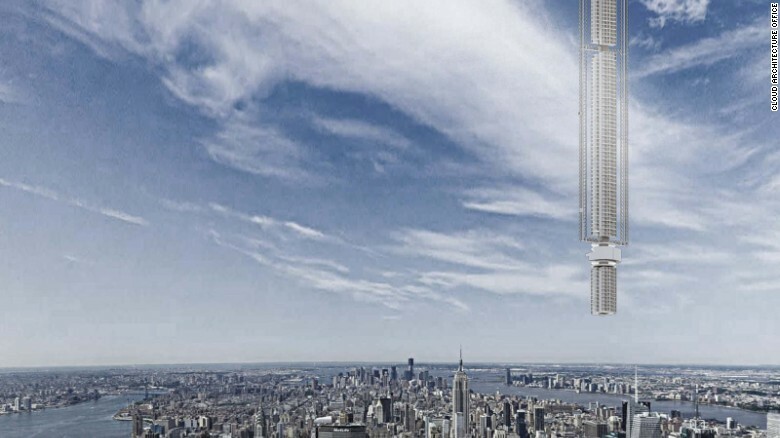 What about, living in floating skyscrapers - that are tethered by cables to asteroids, captured so that they orbit the earth? The thing is, these floating buildings would constantly shift around the earth. That means, you might hop out of your building for a meeting, while it's passing over New York. By the time your meeting is over, your floating home could be floating over London! However, imagine 100 years ago, how amazing some of the things we have now would be to those people. (Even this forum would be amazing!) You never know what the future could hold...!